The University of Leicester in England has planned a research study which has the potential to give Curcumin a bad name in relation to its role in the treatment of cancer. The study involves researchers from the University’s Department of Cancer Studies and Molecular Medicine observing approximately 40 patients with advanced bowel cancer. The parameters of the new study involve 75% of the participants taking Curcumin tablets for one week before undergoing treatment with FOLFOX, a combination of three chemotherapy drugs. The remaining 25% will only receive FOLFOX, no Curcumin. This study proposes to combine Curcumin, which may be a safe effective treatment for colon cancer, with a poor outcome chemotherapy treatment. Somewhere between 40-60 percent of recipients of the FOLFOX treatment receive no benefits while those who do find some relief experience side effects in the form of nerve pain and extreme tingling, cutting their treatments short. On the surface, the potential of this study seems promising; however, depending upon the results, the study may actually put Curcumin in a bad light. The adjuvant (FOLFOX) has exhibited poor results in earlier studies and in spite of Curcumin’s positive role in the treatment of many cancers, this chemotherapy treatment may hinder Curcumin’s effectiveness. Chemotherapy treatments are inconsistent, controversial, and for many, a last resort. Other chemotherapy treatments have even lower success rates. In December 2004, the study, “The Contribution of Cytotoxic Chemotherapy to 5-year Survival in Adult Malignancies,” was published in the journal Clinical Oncology. This study looked at the 5-year survival rates of American and Australian patients who had undergone various mainstream cancer treatments, including chemotherapy, for 22 different forms of cancer. Cytotoxic chemotherapy involves treatment which usually spans weeks or even months. Too large a dose is positively lethal so having a skilled, knowledgeable doctor is imperative. Side effects include nausea, sickness, hair loss, infections, damage to internal organs, and in many cases, death. Why is this? In addition to killing cancer cells, chemotherapy also kills healthy cells, greatly compromising the immune system, the very thing that is needed to survive. Studies on Curcumin and cancer confirm the ability of Curcumin to help fight cancer in a multitude of ways, none of them toxic and all of them side effect free. Research using cancer cells show Curcumin’s ability to activate apoptosis, or programmed cell death, with certain types of cancer. The process of apoptosis involves eliminating cancerous cells before they can corrupt healthy cells. Curcumin enhances immunity in general by creating more antibodies and increasing immune function. In regards to cancer cells Curcumin increases and localizes the body’s immune system response. Angiogenesis is the process by which tumors create their own blood supply. Tumors can then encroach upon and grow through surrounding tissue. Curcumin prevents these tumors from accessing their blood supply, starving them, and eventually killing them altogether. In March 2006 the Life Sciences journal published the mini-review, “Multiple biological activities of curcumin: A short review.” This review looks at the epidemiological observations that suggest Curcumin may reduce the risk of some forms of cancer as well as provide protective factors. These factors have been vastly studied and include anti-inflammatory, anti-angiogenic, antioxidant, and anti-cancer effects. Curcumin’s wide array of biological effects are becoming apparent through far-reaching epidemiological, clinical, and animal studies. Tainting Curcumin’s results by combining it with less successful, potentially dangerous, treatments is a threat to its status as well as its potential as a safer, more effective cancer treatment. News and Events.” University Cancer Centre Begins Curcumin Trial â University of Leicester. Web. 14 May 2012. 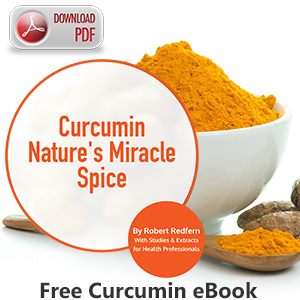 <http://www2.le.ac.uk/news/blog/2012/may/university-cancer-centre-begins-curcumin-trial>. Morgan, G., R. Ward, and M. Barton. “The Contribution of Cytotoxic Chemotherapy to 5-year Survival in Adult Malignancies,.” Clinical Oncology (2004): 549-60. National Center for Biotechnology Information. U.S. National Library of Medicine. Web. 14 May 2012. <http://www.ncbi.nlm.nih.gov/pubmed/15630849>.